To view our current wish list click here. Vida Abundante (Abundant Life) Church is a non-denominational church committed to sharing the gospel and reaching out to children, teens, individuals and families with very limited resources as well as those facing personal challenges. 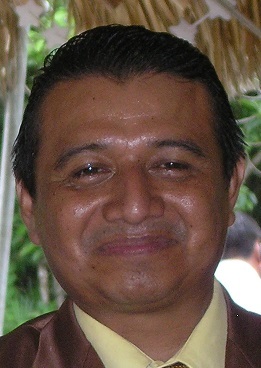 The church is led by co-pastors Salomón and Mariela. The church recently relocated to Colonia Emiliano Zapata which has the highest incidence of alcoholism, domestic abuse and violence on the island. In a recent visit, both pastors stated a strong desire to minister to the people in this neighborhood. “God has called us to minister to these people” stated Pastor Salomón. Mariela agreed “We have a lot of experience working with people in these areas – this is our opportunity to do the work God has asked us to do”. The land where the church is located is currently rented but the dream of the church is to own this land. An agreement has been reached with the current owner to be able to purchase this land as soon as sufficient money has been raised. “Working with families that have limited resources makes it difficult to also raise money to purchase the land, but we have faith that God has a plan for us” says Mariela. It is their hope that through a combination of local gifts by members and other donors, the funds for the initial deposit and monthly payments will be raised to allow a purchase to take place. Salomón and Mariela are a dynamic team, continually looking for opportunities to reach out to the community. A recent “children’s retreat” included an overnight stay at the church with lessons, games and special activities. 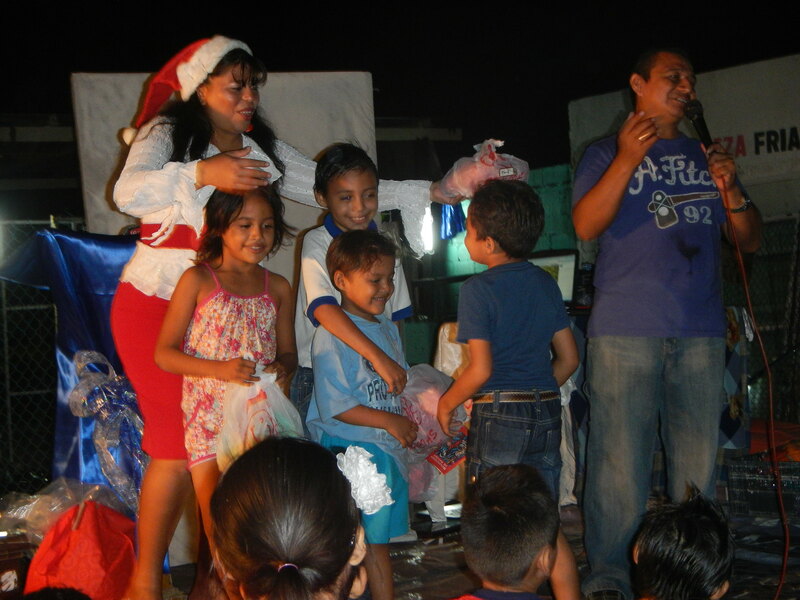 A family fiesta held in December included more than 150 people and distributed 20+ bibles to local families. 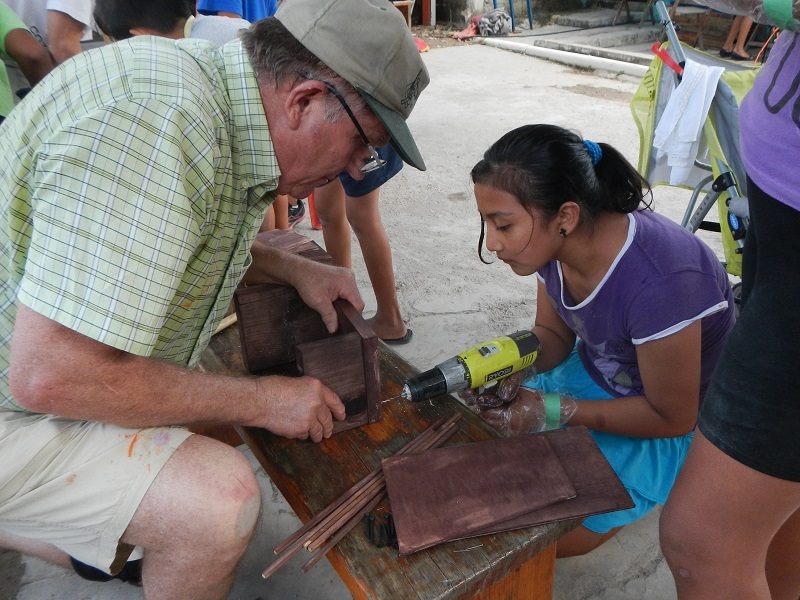 Mariela also serves as local coordinator for the Bible Blessings ministry initiated by SAIL. 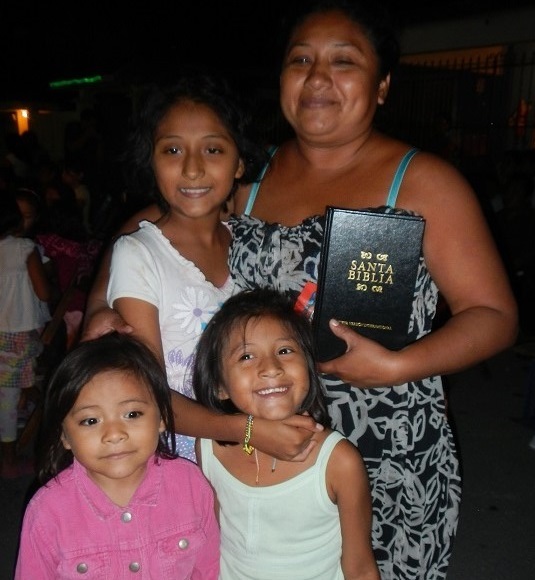 A mother and her children proudly show their new bible. 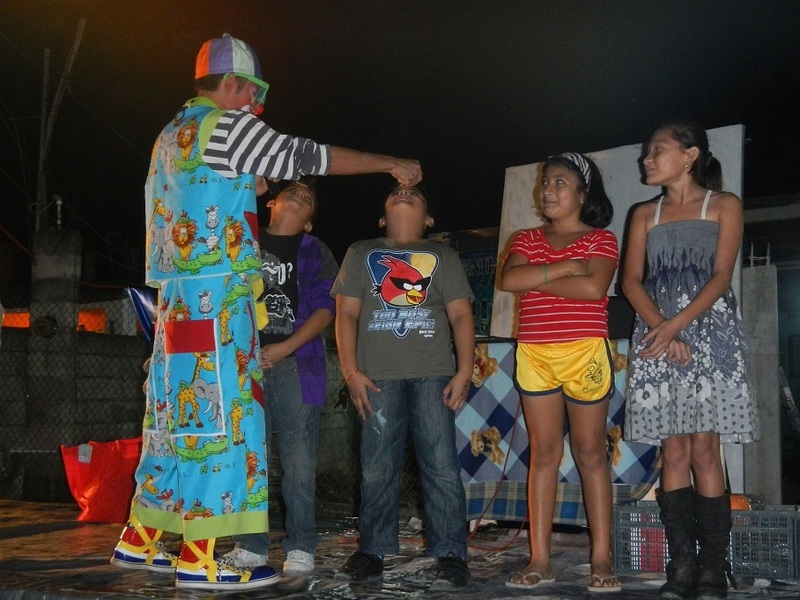 A clown engages children in a contest at the family fiesta. Pastors Salomón and Mariela with neighbor children. The children built nativity sets during the children’s retreat. 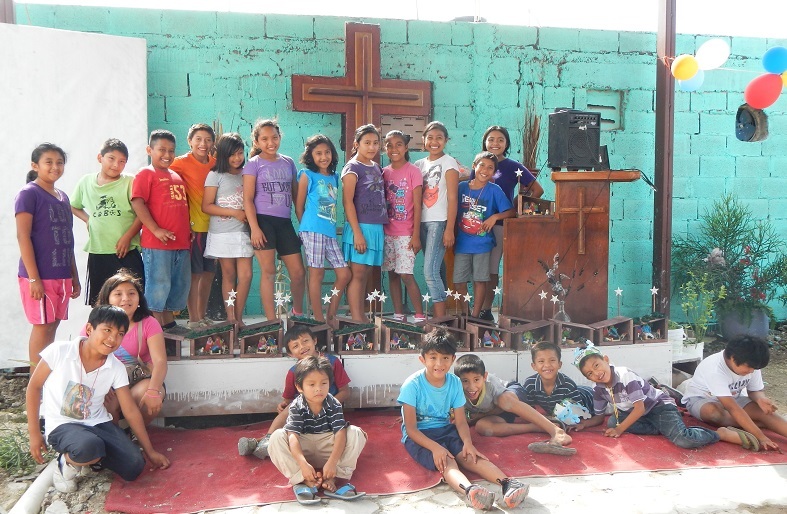 Children displaying 25 completed nativity sets. adults ministry is working in planning an event on September of 2012. We will like to know if we can served at your ministry. Our student don’t only want to make the trip a fun trip, but also a trip where they can learn to serve and give. Thank you for all your help, and God Bless You.